The ergonomically designed, roomy and comfortable operator’s compartment has easy-to-read gauges and instructions and comes with a modern steering wheel and spinner knob. All the operator has to do is set the engine speed with the hands-free governor and drive the machine using a familiar automobile-style foot control. The Model 650 retains the best features of the 500 Series machines, while introducing dramatic enhancements inside and out. The end result: a machine worthy of a new designation – the 600 Series. Engineered to challenge expectations, its sleek fiberglass body is well-suited to life in an ice arena. AC motors and controls provide new efficiencies and virtually eliminate associated maintenance. 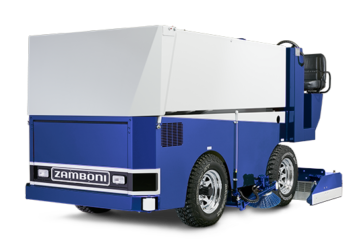 The clean sheet design introduces a chassis accommodating larger heavy-duty battery capacity options up to 770Ah delivering additional resurfacings for your arena’s busy schedule. Industry proven lead acid batteries combine with microprocessor controlled chargers, affording longer battery life. The battery package is easy to access and maintain. Dependable Sevcon® Gen4 controls are built for tough industrial applications. On-board diagnostics provide management of machine functions and status updates. 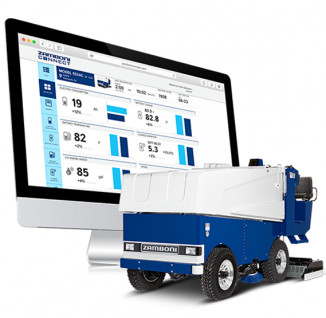 Introducing the Latec™ Level-Ice™ laser leveling system. 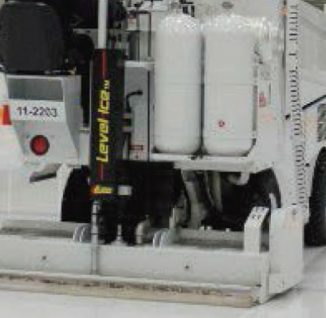 Automated precision blade control provides consistently level ice and significant savings of energy, water and time. 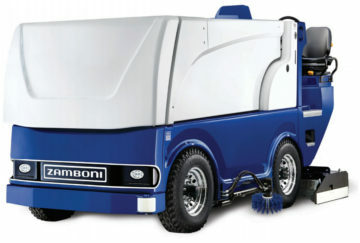 The Zamboni Model 200 is a tractor-pulled unit with a 77” blade – the same width as the 500 Series machines. The Model 200 is designed with the operator in mind and features a control console within reach and easy access to the blade and other adjustable components. 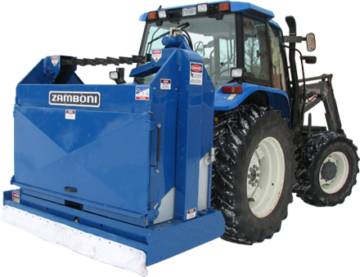 It can be attached to any 3-point hitch tractor with an adequate capacity. 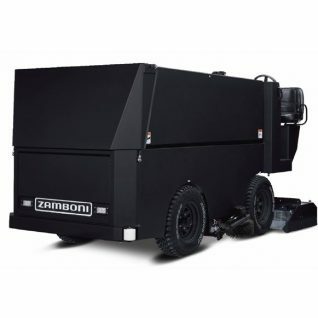 The Zamboni Model 100 is a miniature unit which is approximately 1/10th the size of the 500 Series machines. 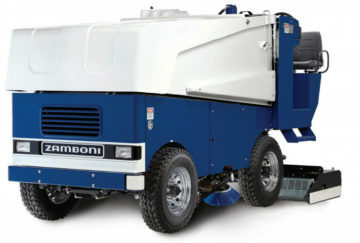 It is ideally suited for small rinks with surfaces of 1,000 to 3,000 square feet. Its design adapts to several popular garden tractors. 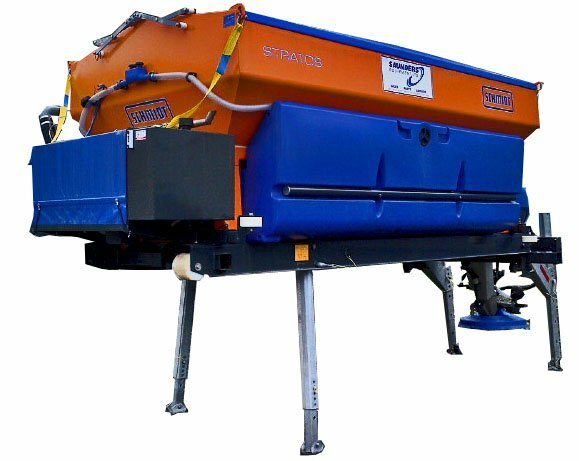 The Model 100 shaves the ice, picks up the shavings and lays down a fresh sheet of ice making water in one efficient operation. 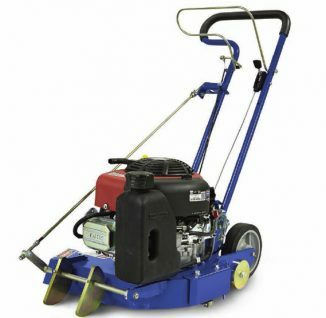 The robust 10.5 hp engine powers long-lasting eight-sided cutters for exceptional performance. Choose from a variety of fuel and start options for maximum efficiency and ease of operation. 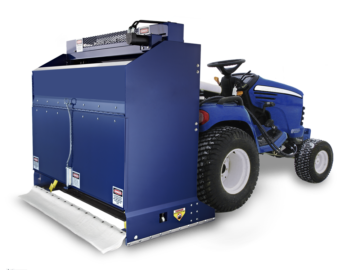 The EZ III provides an emission-free solution for your arena’s edging needs. 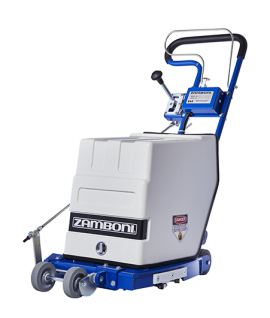 The powerful, yet quiet battery operated unit has a wide eight-sided cutting surface for maximum efficiency. 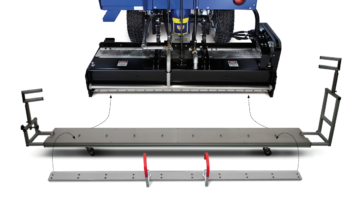 Designed with the facility operator in mind, the EZ III brings a new level of reliability and performance to the edging process. The Conti Blade Changing Assistant (CBCA) allows facility operators to perform a safe and simple blade installation/removal without touching the blade itself. Magnetic handles secure the blade for movement from sheath to the CBCA and back to the sheath. Operators do not need to make physical contact with the exposed blade. 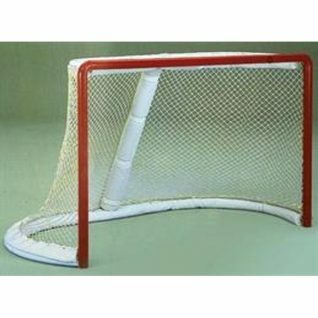 *Can be ordered assembled (netting and pads installed) for an additional fee.